Providing quality color printing to clients at both on a local and national scale takes years to perfect. It takes persistence and knowing your craft--from the media itself to the machines that produce the end product, to your customer-base, to technology and market trends. There are a host of ever-changing variables in the color printing business, including the many ways to produce the printed assets, what they are printed on, and the widely varying types of media for which to produce color-printed material. From basic color copies on letter-sized paper to large-format digital output, like signs and banners--those who seek out quality color printing look for proven experts in the business. CES&R Digital Printing and Copy Specialists are just those kinds of experts. We are proud to offer "affordable excellence" no matter the printing job, which in turn affords us a loyal, core customer base that knows what they are going to get! You need large-format signage that pops with bright color contrast and outstanding graphics for an important marketing campaign or business event. Our cutting-edge technology, knowledgeable staff, and use of top-quality materials allow us to produce on-demand banners of any quantity for our clients that either meets or exceeds their expectations (we like to push for the latter). We also feature the widest variety of available print materials to choose from for posters, banners, and other large-format media. The same concept also applies to brochure printing: you need a significant quantity of brochures printed up, and you need them fast. We get your order right in, and our staff gets to work making sure that you will receive a top-tier product, color-printed to your specs, at a reasonable rate. Our high professional standards mean that you get quality color, single, double, or tri-folded brochures done to your specs and right on schedule. Catalogs can involve many hundreds of pages that feature both graphics and text. They need to be done just right, so that picture graphics catch the eye, and the print is visible and legible. Welcome to CES&R Printing! Manuals can also feature varying amounts of graphic and textual information that needs to be spot-on, so you can do business and also stay within your budget. We specialize in high-volume prints of manuals for all types of industries and requirements. Another important media type for businesses to promote themselves is calendars! Our calendar print jobs run second-to-none among both national and Utah-based printing services, and have helped promote (and keep on-time) many businesses! It's rare to find these two things occupying the same space: high quality and low cost seem to jar with basic market standards. But, when you do a good business and keep your client base coming back time after time, you can lower your prices (not being the type to lower your standards). In the digital full-color printing business, it's all about having customers who know when they bring you an important high-volume print job, that you won't mess around with gimmicks, hidden costs and the like, and simply stick to the basics. 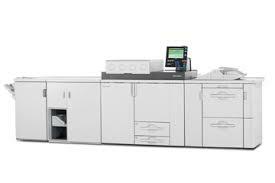 Our industry-leading large-format digital printers, scanners, and copiers bring your text and images to life, and help us keep our Salt Lake City, UT customers satisfied, referral-friendly, and coming back for more!